Jon is a Senior Associate in the Miami office’s Corporate Risk & Broking (CRB) division of Willis Towers Watson. His responsibilities will consist of understanding client’s exposures and interpreting loss trends to identify and develop available risk management strategies. 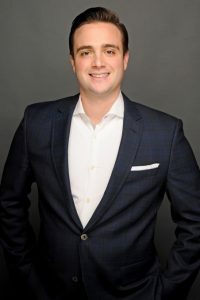 He will work with the Miami team to utilize resources across the firm’s international platform to engage and cultivate new relationships with local and national clientele. Jon is an experienced insurance executive dedicated to putting clients first and technical knowledge. He has worked with businesses across virtually all industries and geographies. His specific expertise is personally creating new business results by helping complex public, private and not for profit organizations identify, assess, mitigate and manage risk. He has also been engaged to structure unique captive and alternative risk transfer solutions. He has managed some of the largest and most intricate claims, damage evaluations, and business disputes resulting from Hurricane Irma, Hurricane Harvey and Superstorm Sandy. His ultimate goal is to reduce his clients total cost of risk.. Prior to joining Willis Towers Watson, Jon served as Vice President at another global brokerage firm. As a graduate of Nova Southeastern University (NSU) he received a Bachelor of Science in Legal Studies. He continued his education and earned a Masters of Business Administration in Business Management (MBA) from the Huizenga School of Business. Jon has also chosen to expand his education by obtaining the CRIS (Construction Risk Insurance Specialist) designation. Jon spends much of his time volunteering in the community. He currently sits on the City of Fort Lauderdale’s Insurance Advisory Board and is a proud Board Member for Debbie’s Dream Foundation. He founded DDF’s first annual golf tournament, that raises thousands of dollars for stomach cancer awareness and research. He is also an integral member on the legislative action committee for the Associated Builders and Contractors East Coast chapter and is the Social Media Chair for Broward County Risk Manager’s Society (RIMS).